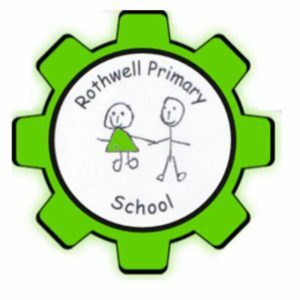 Welcome to Rothwell Primary School website. Mrs name is Mrs Rothenburg and I am proud to be the headteacher of this wonderful school. Our school motto and REACH values underpin all we believe in and are represented in all we do. We use the school logo and the cog element to link the importance of us all working together in partnership within school, with governors, parents and carers, as well as our local community. These partnerships are invaluable in supporting our children. At Rothwell Primary School, as well as being passionate about providing the appropriate support and challenge to ensure all learners are able to thrive academically and emotionally.We recognise, in order for our children to be happy and successful, their social, emotional and mental well-being is vitally important and this threads into our values, ethos and culture and is embedded throughout our curriculum. H in reach is for Healthy body and healthy minds. All staff, governors and pupils have the highest expectations of themselves and others and are always striving to be the best they can be. We are passionate about teaching and learning and all staff recognise the importance of self-reflection and continuous improvement. We embrace a professional learning centred culture of sharing best practice and role model ourselves as learners. We foster a love of learning by offering a stimulating curriculum that provides opportunities to enjoy and build on real-life experiences and visits, in order to create those wonderful ‘WOW’ moments for all pupils and make life long memories. We also encourage learners to take responsibility for their learning and apply their skills in a range of contexts to deepen their understanding. We are very proud of the academic success our pupils achieve and the excellent progress they make, enabling them to feel confident and well equipped in the next stage of their journey and beyond. We share and celebrate the successes of our pupils and offer a wide range of additional opportunities in order for ALL children to find something special in which they excel and feel proud. This may be through the vast number of additional sporting, academic or creative opportunities we provide. Here at Rothwell Primary School, we are very fortunate to have so many, positive, pro-active and supportive parents and carers who work with the school in partnership, to enhance the wonderful opportunities for their children. This partnership promotes, enjoyment, academic achievement and positive well-being.We also have a fantastic PTA, they work hard to enable our children to have additional experiences and opportunities. We work closely with other local schools in our ‘Learning Alliance’ and are committed to supporting each other in order to provide the very best to children across our community.